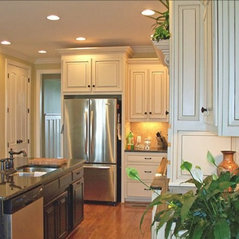 Since 1976, Sorrells Cabinet Company has been serving the Central and Eastern N. Carolina areas. Our family owned and operated business is home to a variety of talented woodworkers and craftsmen. We cater to both residential and commercial clients, and we are dedicated to making your space look spectacular. 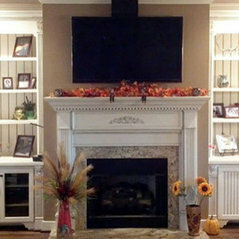 Sorrell's Cabinet Company works hard to make each customers dream come true. Our beautiful cabinets are ideal for any setting and you will enjoy them for years to come. 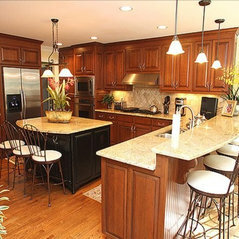 We also specialize in Custom Cabinets, Kitchens, Entertainment Centers and Bathrooms. Sorrell's Cabinet Company offers exceptional attention to detail, prompt service, and unmatched integrity. We only work with top-notch materials so that you'll never be disappointed Give us a call today for more information. 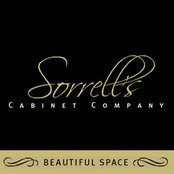 Brothers Corbin and Rex Sorrell established Sorrell's Cabinet Company in 1976. After an unfortunate car accident claimed the life of Rex in 1979, brother Vann joined the company. They began as a two-man shop in the bay of a local service station, and now they are a fully equipped woodworking/cabinet shop of talented woodworkers and craftsmen. Sherry and Kathy Sorrell, wives of Corbin and Vann, share daily administrative responsibilities. In working with homeowners, homebuilders, and designers, Sherry and Kathy bring to the design process great attention to details. Younger Sorrell Brother, Sam, joined the company and works as lead installer, providing installation service for private individuals, businesses, interior designers and architects.